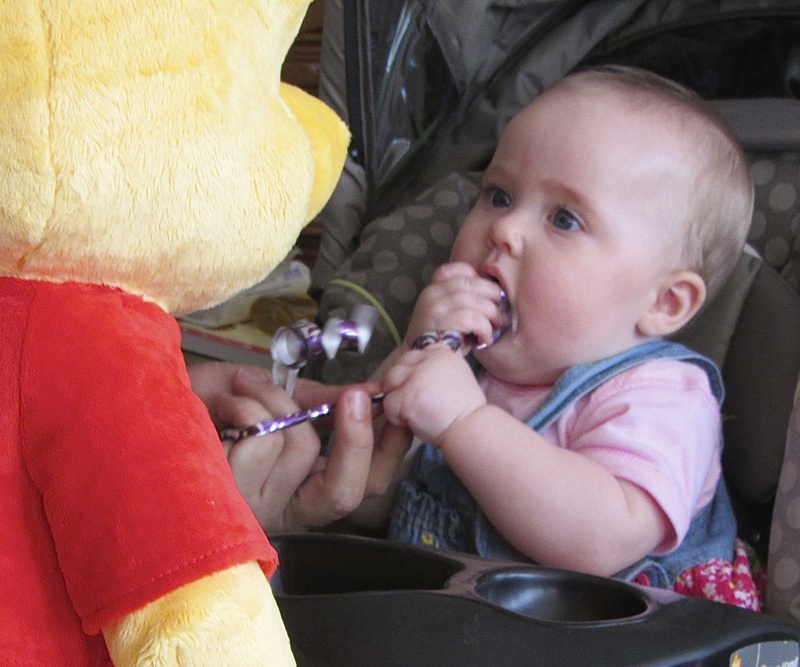 When a child meets a new toy it’s as though the child finds a soul inside of the toy. The expression on Baby Ava’s face says it all. The little monkey’s obviously had enough milk and is “playing with his food”. 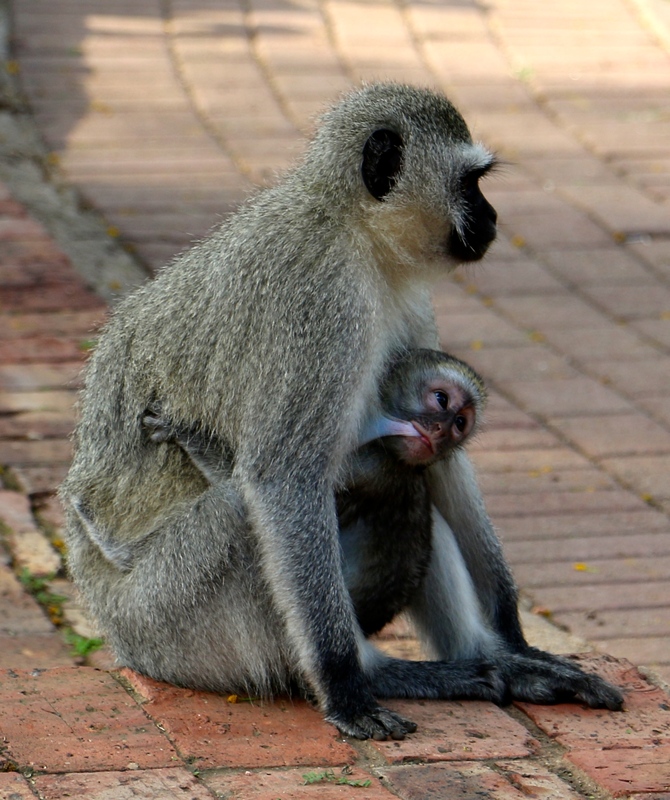 He’s enjoying the comfort of his mother but monkeys are curious little creatures so he’s also having a look around.